You are here: Home / Web design tips / WordPress Hosting, Which Deal is Best For You? Choosing the right WordPress host can make or break your website and your business. But if you’re on a tight budget you have to compromise. Luckily you can get WordPress hosting that’s good and cheap. If you don’t want to use Dreamhost for your first small business website I recommend Hostgator‘s Baby Hosting Plan. I’ve used Hostgator for several years and been happy with the service. I’ve hosted several WordPress websites using Hostgator and they load quickly, I’ve had no problems. If you’ve got an established website with 20,000 + visitors a month consider a specialist WordPress hosting provider like Web Synthesis or WP Engine. Web Synthesis, run by CopyBlogger media, offer the Scribe SEO plugin as part of the deal. SEO You only really need Scribe SEO if you’re new to SEO but if you plan to regularly add pages to a blog, Web Synthesis with Scribe SEO could be just what you’re looking for. Dreampress by Dreamhost is a good compromise between cheap starter site hosting and a dedicated service. It’s cheaper than the completely specialist firms but offers many of the benefits you get at WP Engine etc. Dedicated server? Get some professional advice! If you have a small business and this is your first website, shared hosting is almost always the best option but it’s not the only option. These are the most common types of WordPress web hosting. A Specialist WordPress hosting service. Such as Web Synthesis. Shared hosting means you share a web server with many other websites. Because you share the web server, you pay less. But if someone uses more than their fair share of bandwidth etc, your site could run slowly. Good web hosting companies do all they can to avoid this. Many web hosts offer unlimited bandwidth, but say “we have a fair usage policy”. So if you use more than your fair share, you’ll be asked to upgrade to a more expensive plan. This is good for all those people who play by the rules. For me, the next step up would be a specialist WordPress hosting company. These have web servers that are specially configured to provide the best performance and security for WordPress websites. Most web hosts have to provide servers that can run countless different applications like Moodle, Drupal, Zen Cart and phpBB. A WordPress specialist host can concentrate on optimizing their servers to do one thing well. Running WordPress quickly and securely. If you’ve outgrown shared hosting and don’t want to use a WordPress specialist host, you could choose a VPS or Dedicated Server. Virtual private servers (VPS) and Dedicated servers are powerful. But a small business website is unlikely to need this extra power. So, like I said, if you have a small business and this is your first website, shared hosting is almost always a good option. 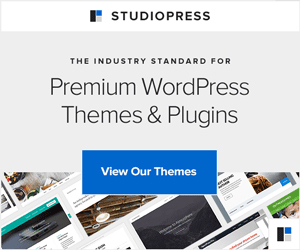 Can all web hosting packages run WordPress? When you sign up for your web hosting check to make sure the company specifically says that you can run a WordPress website with the package you choose. They usually make this pretty obvious. Which are the good WordPress hosts? There are thousands of web hosting companies. Most of them resell web hosting provided by the web hosting giants. These resellers are in effect, salesmen for the bigger firms. There are also countless small businesses that run their own servers and sell web hosting. The problem with limitless options is that you can be overwhelmed with choice. So, I’ve made you a list of web hosting companies that have a good reputation. I hope you find it useful. I use Hostgator and I’ve been very happy with the service I’ve had, I’m also happy with the speed that my site loads. One of the hosts recommended by WordPress.org is DreamHost so they’re likely to be good choice. I haven’t used them but WordPress.org wouldn’t recommend a poor quality service. If your website becomes very popular, getting 1500+ page views a day, you’ll probably want a more powerful plan than basic shared hosting. The companies below offer web hosting trailered specifically to WordPress sites that have out grown shared hosting. DreamPress, by Dreamhost. is just for WordPress users. It’s more powerful than basic DreamHost shared hosting. The next three hosts are specialist WordPress hosting companies. They cost more but offer a service tailor made for WordPress websites. Beware! Read the small print. Many hosting companies make special offers. If you sign up for one of these, make sure you know what you’re getting. Typically the reduction applies to the first invoice only. So if you sign up for a monthly contract, you get a reduction for the first month. But if you sign up for a year’s worth of hosting, you get a reduction for the first year. Read the small print carefully and look at the price before you click the buy button. You can get some great bargains, if you’re careful. Most web hosts sell domain names too. If you buy a domain name from the same company as you buy web hosting, your domain name and hosting should work together without any extra configuration. Changing your domain name server info. If you buy your domain name from one company and your web hosting from another, you’ll have to change the name servers for your domain name. This only takes a few minutes and most hosting companies provide detailed instructions explaining how to do it. What is CDN and Cloud Hosting? With traditional hosting you only have one server in one location. In theory this means that, the further away from the web server the site visitor is, the longer it will take for the page to load. In my experience, this difference is tiny compared to how fast the server is. If I and my customers are both in the UK, I’d prefer a fast US server to a slow UK server. With a Content Delivery Network your site is located on multiple servers. The server closest to your customer is used and so the page loads faster. With Cloud Hosting you can cope with sudden spikes in traffic because you have multiple servers that are switched on and off as needed. There are some free content delivery networks (CDN) that you might be able to add on to your hosting account. Different web hosts allow different things. I don’t know of any free cloud hosting services. Many of the things you need to do when you set up a website are complicated. So hosting companies build easy to use control panels that make it much easier to set up WordPress websites, blogs and email accounts etc. One of the most popular web hosting control panels is called cPanel. Not all hosting companies use cPanel, some make their own control panels. The good point about using cPanel is that if you move your site from one hosting company to another, and they both use cPanel, you don’t have to learn many new skills. The screen shot below shows one version of cPanel. By clicking the button that says Quick install, you’re guided through the process of installing applications such as WordPress. You can get good cheap shared web hosting. If you think you need a dedicated server, get some advice from an expert before you part with your money.